– Affects your hormone levels setting the stage for some serious health problems. Insomnia has been associated with accelerated aging, cancer, diabetes, depression and obesity. – Increased risk of accidents. As reported in Business Week, "Studies show that someone who has been awake for 24 hours has the same mental acuity as a person with a blood alcohol level of 0.1, which is above the legal limit for driving in most states." Who has Insomnia? 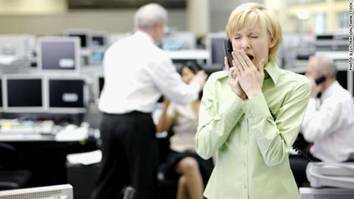 Studies indicate that almost 2/3 of Americans have difficulty falling and staying asleep. If you feel the need for a nap in the daytime, you are probably one of them, since fatigue is one of the top 10 reasons Americans visit a physician. Sleeping problems are even common in young adults (17-30yrs) and a German study found that 12% of 4-5 year old children had difficulties falling asleep.